A filling is one of the most common procedures carried out by dentists. But just the thought of anesthetic injections followed by the sound of the drill is enough to send shivers down the spine of many people. But a new technology developed by British scientists could dramatically reduce the need for unpleasant dental drilling. Based in the Scottish city of Perth, Reminova say their patented technology can painlessly repair teeth by 'supercharging' the remineralization of tooth enamel. 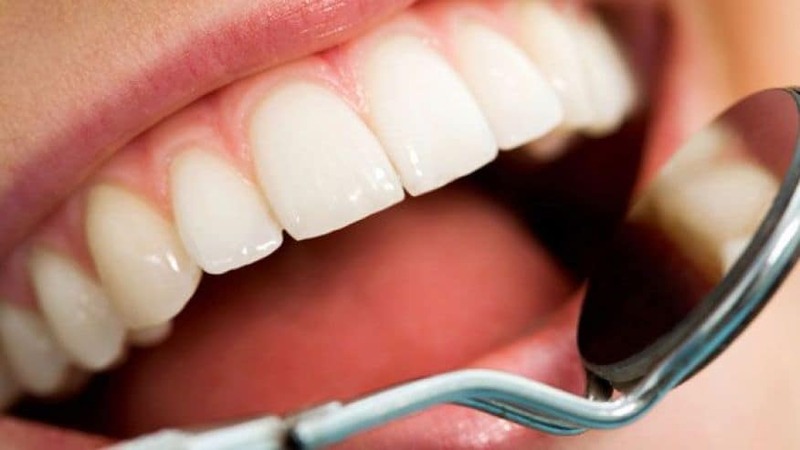 Demineralization, which makes tooth enamel weaker and more porous, occurs when dental plaque bacteria ferment sugars in the mouth that in turn produce acid that pull out the minerals in the tooth. If not caught early enough it results in dental caries - also known as a cavities or decay. These can only be dealt with by drilling away the affected area and replacing with a filling of amalgam or composite resin; starting people on a life-long cycle of 'repair and replacement'. "Traditionally, the way we have dealt with dental caries is to basically drill the decay out and fill it with a filling material. But the problem with that is, once you start in that cycle - fillings don't last forever - so the fillings will need to be repaired and replaced. And you're really in that cycle of repair and replacement for the rest of the tooth's life," said Dr. Rebecca Moazzez from King's College London. Remineralization is a natural process where minerals present in saliva and some foods enter the tooth enamel to make it stronger and more dense. But Reminova's prototype device can speed up this process to the same amount of time it would take to have a filling -- but painlessly, without injections and drilling. Led by CEO Dr Jeff Wright and chairman Professor Nigel Pitts, Reminova's technology 'supercharges' the natural process of remineralization. "We've just found a way to make that a much faster process. Driving healthy calcium and phosphate minerals into your enamel, and through a natural process it will bind on and add to the enamel that's there," Wright told Reuters. A patient's tooth is first conditioned and cleansed to separate any decayed tissue or organic material that has built up in the lesion. Once clean, the tooth enamel is ready for the treatment. They've called this process Electrically Assisted Enhanced Remineralisation (EAER). It uses a tiny electrical current of a few micro Amps, that don't cause any physical sensation in the patient, to introduce natural minerals back into the clean lesion. The electrical field pushes the mineral ions into the cavity, triggering remineralization from the deepest part of the lesion. Wright added that while clinical trials are still in the pipeline, they've recreated the conditions of the human mouth to test their various prototypes. "We've worked on extracted human teeth in what we've describe as an artificial mouth. So we've mimicked the salty, saline conditions of the mouth where we carry out the research. We think this is the best way to have a smooth transfer into real patients and real mouths," said Wright. Reminova says their treatment does not replace the need for regular tooth brushing and cleaning, but presents a new way to treat caries decay once the process starts. They hope it will be used as part of regular dental check-ups, where dentists can spot the signs of decay early and ensure they don't progress to a point where a filling would be required. The World Health Organisation (WHO) says between 60 and 90 percent of school children have dental cavities. Reminova believe their technology could be particularly useful for looking after children's teeth and ensuring they don't shy away from a trip to the dentist later in life. "If you can prevent decay in children then they will become adults with no fillings, so that is a very key market - to get into the children's market and to prevent that tooth decay. Also, if children have a better experience of going to the dentist, so they haven't had necessary drilling and injections for routine fillings, then they'll be much more positive in later life and probably become much more regular patients," said Dr. Barry Quinn from King's College London. Reminova is now seeking further investment to develop their prototype device into a model ready to use by dentists. They say the market-ready device will cost about $10,000 (USD), with treatment packs selling for less than $10. With about 98 per cent of people affected by tooth decay at some point in their lives, the company sees a potential market for their device in dental surgeries across the world. They believe it could prove particularly effective in developing countries, reducing the impact of one of the most prevalent human diseases. "This can make a major impact on global dental healthcare, in that the availability of a caries treatment in developing countries - our treatment is much more portable and useful in that type of environment as well," added Wright.